Thinking Digital is an annual conference, taking place in Newcastle every May. Over the years, Thinking Digital has built a reputation for attracting the best thinkers and speakers from the around the world – The Next Web has even described it as ‘The UK’s answer to TED’. On the agenda this year, were talks from the likes of Bill Jinks who gave a talk about what it means to be an IBM’s technical advisor to the All England Lawn Tennis Club, Mikko Hypponen who gave an entertaining talk on cyber wars and hacking and Ed Hipkins, a rhythmic creator, who spoke about the limitations that inspire creativity which he illustrated with a live and reactive performance on stage. Where does Bing stand now and what does the future look like? “It’s a really exciting time to be working at Bing and there is so much that is happening, it’s difficult to know where to start. I guess one of the key factors is our market share is growing rapidly in virtually every market that we are present in. For the UK, Bing now powers 18% of all searches so we are edging closer to 1 in every 5 searches coming from Bing which is amazing progress considering where we were even two years ago. A huge contributing factor to that growth has been the launch of Windows 10. The encouraging thing for us is that on average, Windows 10 users make around 30% more Bing searches than in previous versions of Windows. The integration of Bing across the Microsoft ecosystem is also helping us to gain traction with consumers in new and exciting ways. Skype Translate, for example, is made possible through the power of Bing. So I can now speak to my Taiwanese mother-in-law in English and she will hear Mandarin, and she can speak back to me in Mandarin and I will hear English. Not so long ago this was science fiction but Bing has made this a reality. That might not be search in the way we traditionally think of it, but it’s search nevertheless that is enabling that experience. From an advertising perspective, we are also trying to push the boat out with Bing Ads and that same idea of integration is an important one for us. The next opportunity that we’re excited about is native advertising. The idea is that you can take your existing search ads with image extensions and run those same campaigns in a native experience across the Microsoft display ecosystem. Let’s say you’re managing the search campaigns for a big car brand. You could target the same search ads you run in Bing Ads to also show as native ads in the MSN Cars website; all with a simple tick of a box and no extra effort required on your behalf. We have started piloting this in the US with some great initial responses. Whilst there’s no immediate deadline for the UK, watch this space! Overall, we believe that rather than viewing search as a destination, search will become invisible, and simply be pervasive wherever and whenever you need it. Regardless of what device or software you’re using, even if you’re not using a Microsoft product, we want Bing to be there to help you be more productive. Search is going to start integrating into more of the moments that matter to us and will power the experiences that we need to make our lives easier. How does your view differ from Google? “Google is phenomenal at what they do and I think it’s fair to say that we’ve been playing catch up with them for a number of years. We do feel though that Bing is coming of age, and the momentum behind us is fantastic. Creating a great search engine takes time and Bing has reached a stage of engine maturity that the difference between us and Google is now negligible. In some cases, we actually offer a better search experience than Google. When we put consumers through blind tests most people can’t tell the difference between Google and Bing which is a testament to the improvement in the quality of our results. What’s exciting for me is that having reached a certain level of parity with Google we can now start to differentiate Bing with new products and functionality that aren’t simply an “us too” feature. We’ve started doing this at Bing Ads with partnerships with companies like Twitter. The launch of Twitter annotations allows advertisers to show how many followers the brand has on Twitter, adding extra levels of credibility to your ads. I’m very excited about Bing’s new offerings and the future of paid search. The arguments that James made just make me feel even more comfortable about the future and prove my point that Bing is worth investing money and time in. Over the past couple of months, Google has made a number of changes and announcements. With the big G maintaining dominance in search, it’s important that brands are aware of the changes in order to stay ahead. Below is a short summary of some of the latest Google updates affecting natural search to help keep up-to-date and ensure your strategies are robust. On July 18th Google began a Panda refresh which aims to devalue pages with thin or low quality content. Unlike past Panda updates, this is a long slow roll-out so sites are unlikely to see any immediate impact. Google wants to index and reward useful pages that provide good quality, unique content that is highly relevant to a users’ search. If you are concerned you may have been affected by Panda previously, and you have addressed your on-site content, you could see your natural visibility improve over the coming months. On the flip side, if you are still not integrating quality content into your pages, you could see the opposite effect. A lot of eCommerce sites still seem hesitant to add content to important category/sub category pages for fear that it will detract from the products. There of course needs to be a balance, but your on-site content should help guide, inform and support users when making a purchase so a lack of content will be detrimental from both a visibility and conversion perspective. Google’s local products have evolved quite a bit over the years. From ‘Places’ to ‘Local’ to ‘My Business’– it’s fair to say that this hasn’t been one of their most streamlined offerings! For too long, there has been confusion around how to connect your historic ‘Places’ or ‘Local’ pages with Google+ brand pages and Google Map listings. Google was not quick to solve this issue which led to an over-saturation of inactive, unpopulated or duplicate map listings, not to mention some frustrated webmasters! So when Google announced that they would be closing down inactive or unresponsive Google+ My Business pages on July 28th, this wasn’t an unwelcomed move. 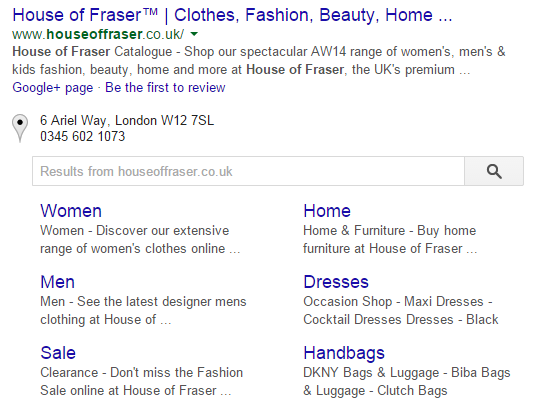 Google has also decided to reduce the local ‘7 pack’ of results to a ‘3 pack’, with business addresses and phone numbers being removed altogether. This will improve mobile user experience but also further refines local search results. 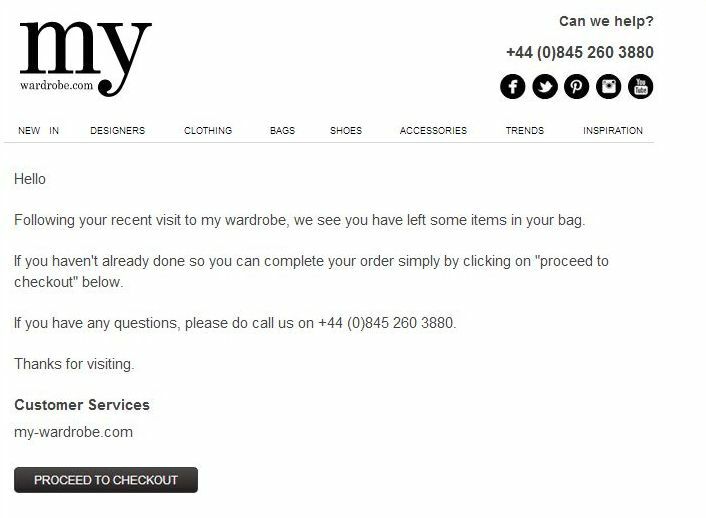 I then think Google will start placing more emphasis on retailers that are actively engaging with their audience through their My Business page. This is where I think brands still have work to do. Your listing is not just a location marker. Make the most of this additional natural exposure and post content, encourage reviews and communicate with your local audience. Alongside the local changes, Google has finally announced its plans for Google+. Part of the plans include the popular decision to no longer force users to sign up to a Google+ account in order to use services such as YouTube and Gmail. It is also separating out other elements such as fully migrating Google+ photos onto a separate stream called Google Photos. The problem with Google+ was that it never quite found its niche. It failed to compete with Facebook which retains dominance as the ‘socialising’ platform of choice. Google+ also failed to gain ground in other areas, with niche newbies like Instagram ploughing ahead in terms of visual networking and content sharing. However a lot was invested in Google+ so they are not going to let years of development go to waste; they just need to give Google+ a focus. Many of the thoughts in this article reinforce that its longer-term value will be as a platform to share, engage and discuss interests and topics. A feature released in May, Google+ Collections, enables users to create, contribute to and discuss various topics. Since launch, users have demonstrated high engagement with Collections, with many stating that this could give positive direction to the platform. 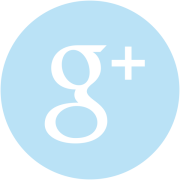 Could Collections pave the way for Google+ to (dare I say it) succeed? Only time will tell. I might even log in myself sometime soon. Finally, let’s end with Alphabet. Google’s most recent announcement on 10th August detailed plans to restructure into new holding company called Alphabet. The new company will head up a collection of companies, the largest of which will be Google. Google’s co-founders Larry Page and Sergey Brin announced (a surprise) shake-up of the company’s structure and management. In the announcement, they will be handing control of the Google search engine to Sundar Pichai who will replace Larry Page and become CEO of Google. What does this mean for brands? Well not much right now. It will be interesting to see where Google steers itself in the future but for the short term, its business as usual. Over the past few months, a number of articles have caught my eye as they reinforce important learnings about how search has evolved. In light of these articles, I’ve looked at how brands and retailers need to shift their mind-set around ‘SEO’ and use it more strategically within marketing campaigns. SEO has evolved greatly over the years and it doesn’t operate in silo. Search engine algorithms have advanced significantly to weed out spam and reward sites that have relevant and valuable content – ultimately sites that provide users with what they want. SEO and UX go hand-in-hand and which is why it’s important that the SEOs of today have good knowledge of usability and experience design as well as the technical aspects of search. All these skills can be a huge asset when redeveloping a website. Your optimisation team will have in-depth, historic knowledge of your current site’s performance, what works and what doesn’t as well as your business goals. They also have knowledge of a number of different platforms so can advise on the best platform even before the project has kicked off. When developing a site, use your SEO team’s experience, learnings and advice to your advantage. Get their input on technical requirements and recommended specification for your new site to ensure that important elements, for both the search engines and users, are factored into scope. Then by the combined ideas of your optimisation team, designers and developers will ensure you end up with a site that exceeds expectations in terms of architecture, content, optimisation and user experience. I recently read a good post about the relevance of keyword analysis in Search Engine Land. I couldn’t agree more with the points raised and want to reinforce how brands should be using search term analysis today. The Hummingbird update in 2013 was an important step in Google’s quest to provide better quality search results. By better understanding the intent of search queries by looking at context (rather than specific keyword matching) they have been able to provide smarter, more relevant search results. Of course, bespoke on-page optimisation still has its part to play, but brands need to forget trying to rank for certain keywords and focus on adding relevant, more varied content around topics or subjects. Keyword analysis today should help identify popular keyword themes, product opportunities and review what questions are being frequently searched for. This kind of analysis will help you find gaps and opportunities for targeted content, be that additional products, improved categorisation or filtering functionality, enhanced product information, how-to guides or FAQs. Think about the role your content plays in a conversion and investigate terms that will target more of the right customers throughout their search. Another interesting read was this article on Moz which discussed why looking at correlation rather than focusing on causation needs to be more of a focus for modern SEOs and marketers. All these articles reinforce that SEO shouldn’t be treated as something that operates in isolation. Retailers need to change their view on traditional SEO tactics such as keyword analysis, as these should be used far more frequently and strategically to inform content creation. Expanding quality, engaging content is always going to be the best long-term strategy for natural success, not focusing on specific keyword rankings as many brands still do! Retailers also need keep focused on the bigger-picture. Of course monitor granular channel specific metrics, but don’t obsess over them. Tie everything back to your bottom line. If your marketing channels are working, you will be able to see this in your sales, revenue and market share. And finally, be sure to get the most from your agencies by pooling their knowledge to ensure your marketing campaigns are joined up. Whether it is a new site build or a strategy review, get your agencies in the same room to work together, share plans and collaborate on strategy to ensure you maximise the effectiveness your marketing. Welcome to this week’s edition of The Weekly Shop. This week we have an article from our commercial director, Ben, on how 2015 should be the year of the customer, six questions you should be asking your customers and why constantly discounting might hurt your brand. To kick things off this week, we have an article from our commercial director on how 2015 should be the year of the customer. Head over to Econsultancy to find out why Ben believes 2015 should be the year where every decision is made on the basis of what customers actually want rather than what the retailer thinks they want. Our next article explores how constantly discounting your products can actually hurt your ecommerce brand. This is because lower prices rarely lead to brand loyalty, and instead they attract smart shoppers who jump at the opportunity. Obviously sales and discounts still have their place in any pricing strategy, but retailers should focus efforts on sales that complement long-term strategies. This next article provides six questions you can easily ask your customers to get the most actionable and useful feedback. In this article, Search Engine Land explore how improved collaboration between your SEO and UX teams can result in positive impact on the outcomes of the Web projects. To finish off an article from Clickz which explores how your SEO strategy in 2015 should rely more on boosting the customer experience instead of focusing on search engine algorithms. Welcome to one of the last Weekly Shop’s of the year – where has the year gone! This week we have featured some stories you may have missed around ecommerce returns, the importance of mobile-friendly websites in 2015 and the future of Google’s search algorithm. During the latter part of this year, we have been investigating how premium retailers are delivering relevant content and engaging socially with their customers. In the first report of the series, we have looked at 20 leading retailers in the premium furniture sector and assessed how well they are engaging their audiences which produced some interesting insights. You can download the full report here. Moving onto some retail news, this article from Internet Retailing looks at how men and women shop for clothes in a very different way online and looks at how websites can cater to the male market. With Christmas being the busiest time of year for returns volumes, how should retailers handle returns? 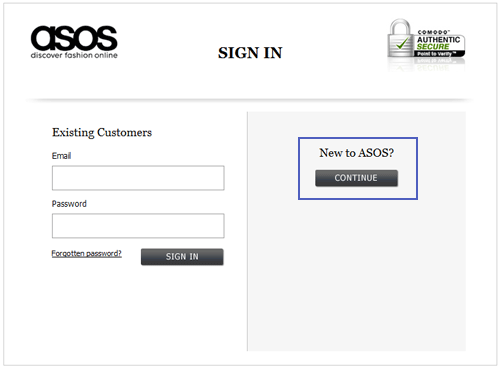 In this next article, Econsultancy have rounded up 15 best practice tips from various retailers. Moving onto search news, this article from Search Engine Watch looks at the importance of having a mobile-friendly website in order to have a successful SEO strategy in 2015 . This next article from Clickz explores how press releases and press release websites are not an SEO strategy and explores how you can get much better results contacting journalists directly. Next up, URL profiler looks at how Google doesn’t really care about SEOs and that they only really care about user experience and optimising the experience of Google for their users. To finish of this week, some interesting reading from Search Engine Land on Google’s search algorithm and specifically where Google search is headed and the signals it relies on. Christmas is a key time for many retailers and brands. Therefore, it is important to ensure your website is up to scratch in order to maximise sales. Conversion rate optimisation (CRO) underpins the success of a website and even a few small changes now could have a positive impact on conversion rates and sales over the festive period. Many tools such as Optimizely allow you to test smaller changes against the current design to determine which perform better than others. You can then serve the better performing page variation to a higher percentage of users in the run up to Christmas. This means that even if you do not get statistically significant results quickly, you can still divert more traffic to your higher converting page variation. This will help you quickly identify any changes you can make immediately. If you have specific problem areas you want to test, What Users Do is a cost effective online tool that can top line key issues users’ face. Tools such as Google Surveys or Survey Monkey allow you to gain some quick, free insight into what users might find frustrating on your site. By focusing on getting something up and running now, you can run it for a month and implement any quick-win changes in time for December. Look for pages that drive a good amount of traffic but have low conversion and/or high bounce rates. In addition, review page speeds and work through priority recommendations from Google Page Insights. You will typically find the same problems across a number of pages, so some site-wide changes to improve load time could have an immediate, positive impact on user experience. It will also improve optimisation of the site. Identify any issues or tweaks you could make to simplify or streamline the process. Look out for unnecessary form fields, enable guest checkout (if you haven’t already,) auto populate address fields where possible etc. Try and be objective, as if you were a customer yourself. Ensure they function as best they can. 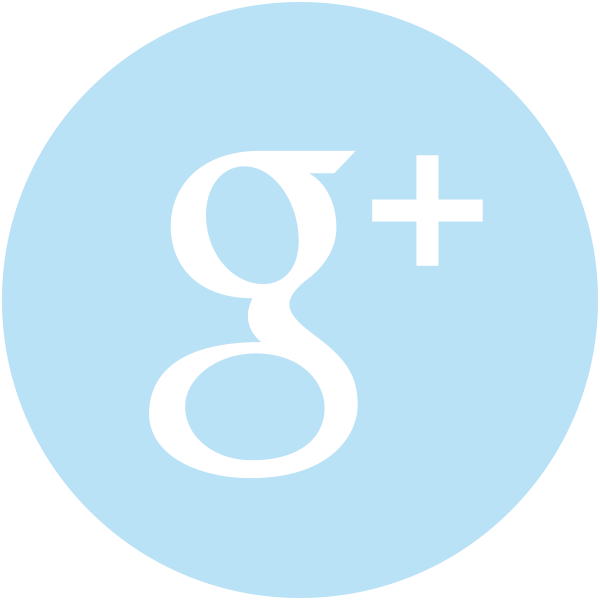 Forms should be quick and easy to fill in and should let customers know that their enquiry has been received. Any queries should be answered promptly in order to try and maintain the attention of the customer and ideally their loyalty to buy with you. 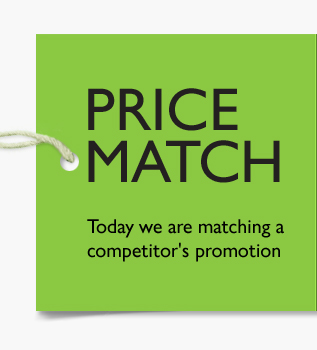 If you can, offer a price match offer in case customers have seen lower prices elsewhere. Price is even more important to customers at Christmas, therefore you have to ensure you remain competitive. Ensure price match messaging is in a prominent position across product pages and provide details for customers to contact you to honour the price match. Where possible, offer free delivery as standard. Alternatively, consider awarding free delivery if people sign up to your newsletter. By doing so, you will benefit in the long run by growing your email list. Make sure your abandon basket emails are working effectively in the run up to Christmas. These emails are really effective to bring people back to purchase. As you can see, it’s not too late to make some fruitful changes to your site that could boost your sales this Christmas. Look at your website with fresh eyes and prioritise any ‘quicker win’ changes so you don’t lose sales to your competitors. But don’t hang around too long – your customers certainly won’t! In the Weekly Shop this week – how maximise your online sales this Christmas, why Christmas begins early for online retailers and how the UK is among the most desirable retail markets. Christmas is a key time for many retailers and brands. Therefore, it is important to ensure your website is up to scratch in order to maximise sales. In light of this, our website optimisation manager, Suze, has provided some recommendations to help you maximise your online sales this Christmas. Next up is an article from Econsultancy which explores why Christmas begins early for online retailers following research that has shown that the festive season is the best time to acquire top-end customers, not just one-off seasonal purchasers. Research by eBay and retail analysts Conlumino have predicted a boost of £1m for British high streets this Christmas due to shoppers making three additional shopping trips each to collect parcels bought via Click & Collect. Another study this week has shown how almost 40% of shoppers have now bought from an ecommerce retailer in another country and that the UK is one of the most desirable places from which to buy, alongside the US and Germany. We finish off this week with an article from Search Engine Land that distinguishes a good search optimisation agency from a not-so-good one. In this week’s Weekly Shop, we feature a report on the importance of integrating branded content into the customer journey, how fashion and luxury brands can gain insight into what their customers care about and what’s hot and happening in premium retail this month. A new report this week has shown how the ability to bring content and commerce together “may be what separates retail winners from losers.” The report found that more than three quarters (78%) of consumers now browse online before buying in-store highlighting an opportunity for brands to win the sale before shoppers go instore through branded content. The study points to tactics used by successful brands, which include integrating blogs onto the main site experience, putting links to product pages into article, and promoting blog content on the homepage. How can fashion and luxury brands develop an understanding of what their customers truly care about and reflect this in their digital strategy? Head over to the new ‘Ask the Experts’ section of the Masterclassing website to read our commercial director, thoughts on the question above. Alexander Wang x H&M, Selfridges new £40m website, Jimmy Choo’s online personalisation service and accessible luxury are just some of the developments in premium retail that have got our Premium Panel excited this month. Head over to ‘The Hype’ on our blog to find out what other products, trends and innovations have been catching their eye in October. This article from Econsultancy looks at seven customer experience case studies from the likes of Triumph, Cadbury and Homebase which have optimised experiences to increase satisfaction and loyalty. This last article this week takes a look at five ways in which search behaviour has changed in the last 10 years following Mediative’s excellent eye-tracking study of Google search results. That’s it for this week. Happy Halloween! In The Weekly Shop this week – three keys to omni-channel success, the launch of a new biometric contactless payment card and our Premium Panelists tell on how delivery contributes to a good customer experience. According to Drazena Ivicic from Intershop there are three areas that are key to omni-channel success: convenience, content, and customer service. In her opinion, getting these three Cs right is key to successfully engaging with the customer and driving sales. Following the news last week that Amazon were opening their first physical store – the etailer has just announced they are launching a same day collection service in the UK. Customers can order up until 11.45am to collect from 4pm until the closing time of their chosen pick-up point which include newsagents and convenience stores. Definitely set to be a game changer this Christmas. When asked about what makes a good retail experience, in many cases your customers will mention delivery as a key factor. In light of this, we asked we asked our Premium Panel their thoughts on how delivery contributes to a good customer experience which you can read over on our blog. If you want to join the Premium Panel, you can do so here, you might even win a £50 Selfridges voucher if you join before the 30th October. This week, MasterCard and Zwipe announced the launch of a biometric contactless payment card with integrated fingerprint sensor, which they say will improve security and consumer convenience. In this next article, Rand Fishkin, CEO of Moz shares his views on how Google and SEO Don’t Actually Change that Much. Brilliantly put and worth a read. To finish this week, a useful glossary from Econsultancy around data and analytics which aims to simplify some of the complicated words, terms and phrases that you’re likely to come up against. Welcome to another edition of The Weekly Shop. This week we take a look at how you can build loyalty for customer retention, paid, owned and earned media, innovations that are set to change retail and how searchers user behaviours are evolving. Ongoing profit from a customer’s lifetime value is generally much higher than any one single transaction. However, in order to achieve higher customer lifetime values, you need to have some strong customer retention strategies in place which Econsultancy have round up in this article. What’s the difference between paid, owned and earned media? Next up, is a useful refresher on the difference between paid, owned and earned media and how SEO fits into the three categories. Our next article this week looks at four trends that are set to change retail, including payments, logistics, computing platforms and marketplaces. A new Google eye tracking study from Mediative has shown how the evolution of the Google search results from 2005 to today has resulted in searcher looking outside of the ‘golden triangle,’ which is the term used to describe how searchers looked at Google search page results in 2005. Following on from the article above, this article from Clickz takes a more in-depth look into the study from Mediative and how SERPS and user behaviours are evolving. And to finish off this week, a useful reminder on how SEO has changed over the years and how some of the old tactics will result in stagnant traffic and may actually cause your traffic to drop. Remember, if you’d like to receive your Weekly Shop straight to your inbox, you can do so by signing up in our footer.